Imagine 50 Members of German Parliament from the governing coalition file a motion at the Federal Constitutional Court to have the appointment of Supreme Court President Bettina Limperg, after a critical press interview, retroactively declared unconstitutional. Imagine further the Minister of Justice Heiko Maas file an equivalent motion to unseat three disfavoured Constitutional Judges. At a Federal Constitutional Court in which the governing coalition before had already replaced five of the eight judges in each Senate with their own people. Crazy? Certainly. But just replace Germany with Poland and see: this is happening right now. Of course the German grand coalition is not PiS. Bettina Limperg is not Małgorzata Gersdorf, Heiko Maas is not Zbigniew Ziobro, Germany is not Poland. But this is no reason to pretend that this is all none of our business. What happens in Poland (and, for that matter, in Hungary), is not foreign policy for EU member states. It is European interior policy. This is a government with seat and voice in all European institutions, acting, in plain sight, as if the rule of law would not apply to itself. And yet most EU member state governments, including the German, choose to pretend that this matter is best to be handled with diplomatic sagacity. There may be many valid reasons of foreign, security and energy policy to keep the Polish government content, but if you are faced with such blatant disrespect to the rule of law, the pillar of the European legal order, and all you come up with are feeble gestures of appeasement and ineffective words of admonishment, you do a disservice to the rule of law that amounts to a damage in itself. And that is certainly no longer just foreign policy. The EU Commission, as we know, has initiated with much ado a rule of law procedure about Poland. Last week, the Polish government has sent their reply to the Commission’s latest recommendations or, in the words of KIM SCHEPPELE und LAURENT PECH, "stuck its thumb in the eye of the European Commission, again". Kim and Laurent do not mince words in their summary of the Polish government’s brazenness. The Commission, in their view, should push the Art. 7 TEU button now, fulfill their role as guardian of the treaties and launch the sanctioning regime even if they lack the certainty that the Council, who prefers to hide behind their "rule of law dialogue" fig leaf instead, will follow through all the way. How timid European institutions appear right now is apparent in another matter, too: The European General Court has declared a suit against the so-called "EU Turkey Deal" inadmissible because it was in fact not a EU Turkey Deal at all but merely a Member-State Turkey Deal in which the EU, and thereby the Court, has no stakes whatsoever. JÜRGEN BAST picks apart the decision from Luxembourg and finds: If this stands and member states are allowed to slap a "Non-EU" label on every act of EU policy with which they wish to abscond from justice – that would tear yet another gaping hole into the rule of law in Europe. Speaking of constitutional holes: THEO FOURNIER has taken a closer look at the Marine Le Pen’s plans of constitutional change, should she be elected President of France in May. Her programme, according to Fournier, outlines France’s move to a nearly absolute presidential regime with a weakened Parliament, weakened regional bodies and a President who, by means of referenda, could largely do whatever she pleases, including changes to the constitution. The bad news: once this programme is on tracks there seems to be very little anyone can do about it. After next weekend we will know whether Geert Wilders will be the winner of the Parliamentary elections in the Netherlands, as pollsters foresee. His programme is a lot blurrier than Le Pen’s. What it contains, e.g. a Quran ban, would stand very little chance of realization, according to PETER VAN DE WAERDT’s analysis. The Dutch constitutional system, even with no Constitutional Court and only limited judicial review, would still be sufficiently robust to rein Wilders in. This depends, though, on the Netherlands staying a member of the European Convention of Human Rights. In Denmark there has been a rather peculiar debate about the rights of stateless persons. A UN convention obliges its member states to give stateless persons born and risen on their soil access to citizenship. Why the Danish government finds this obligation scandalous and tries, to very little chance of success, to convince other member states to reformulate it is explained by EVA ERSBØLL. The Italian Constitutional Court has now published its reasons for its judgment about Matteo Renzi’s electoral law reform in January. CORRADO CARUSO and MARCO GOLDONI describe the decision as another defeat for the Italian Parliament which, after the lost constitutional referendum, now has to deal with judicial activism, too – a situation it could get out of by adopting a new electoral law which would be all the more desirable as the current one has been deprived of its internal logic by the Constitutional Court. That the UK, by means of Brexit, could tear apart not just the EU but itself, too, is a well-known fact. Now, in Scotland and Northern Ireland there are renewed signs that those parts of the UK less willing to break apart with the EU might in fact decide to leave the one in order to stay in the other. 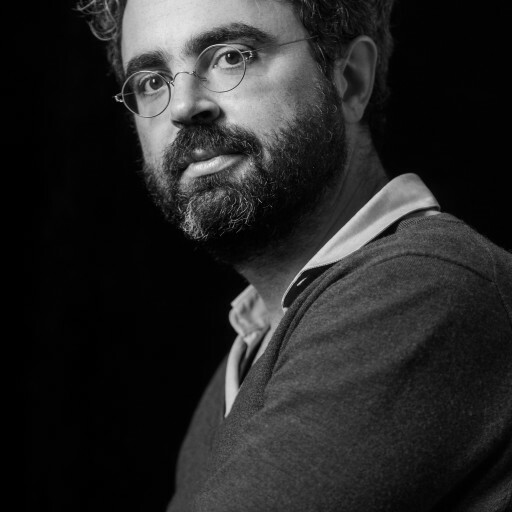 NIKOS SKOUTARIS examines how the recent Miller decision by the UK Supreme Court advances this trend, and draws a comparison to the similarly rigid stance of the Spanish Constitutional Court with respect to Catalonia: To diminish the constitutional space for independence might turn out not to be the best move to keep it from happening. In Germany the constitutional space for established churches to discriminate is remarkably generous, compared to others. ALEXANDER TISCHBIREK points to a recent opinion by the CJEU Attorney General in a Spanish case which, if it stands, could make these clerical privileges precarious under EU law. In 2017, Tischbirek writes, Luxembourg is expected to hand down a number of decisions which might affect church privileges, not necessarily to their advantage. SUGGESTED CITATION Steinbeis, Maximilian: Geert-Victor LePynski, coming to your town too, VerfBlog, 2017/3/04, https://verfassungsblog.de/geert-victor-lepynski-coming-to-your-town-too/, DOI: http://dx.doi.org/10.17176/20170306-093613.